Globally, drowning ranks 21 among the 179 most common causes of death. There are an estimated 360,000 annual drowning deaths worldwide. According to the International Shark Attack File (ISAF), between 1958 and 2016 there were 2,785 confirmed unprovoked shark attacks around the world, of which 439 were fatal. A considerable number of these deaths could have been averted had help reached the victims in time. Four technology enthusiasts, Muntaser Syed, Chris Woodle, Mano Rahul K Pakalapati and Ismayuzri Ishak, set out to find a solution to this problem. They teamed up to participate in the XBuild hackathon organized by AUVSI on the 28th – 29th of April at Galvanize, Boulder, CO, USA wherein they were declared as the winners of the FlytBase Challenge. As a part of the FlytBase challenge, the teams were asked to build a smart drone application, that makes the best use of the FlytBase platform and its extensive features, to deploy drones at scale. 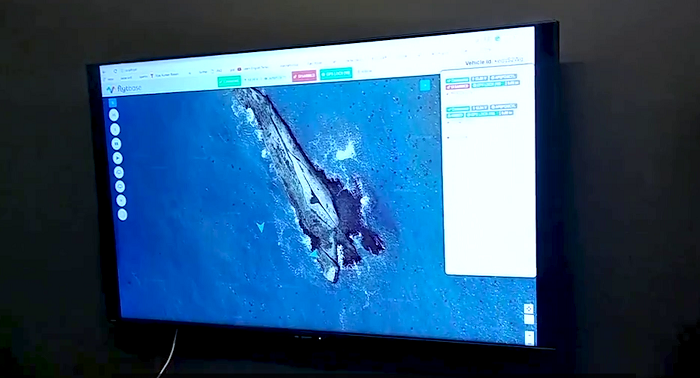 Citing this opportunity, team VASHR chose to build a drone application for coastal hazard detection and rescue. Team VASHR went on to build an autonomous multi-drone system to save lives during hazardous situations in coastal areas. They took into consideration situations like shark attacks, medical emergencies on boats, swimmers in distress, active shooter situations, etc. Once a distress call or an emergency situation is detected, a rescue drone will be deployed with an appropriate payload, which will then be delivered to the target using a sky crane. As a primary response, the system takes in its input in the form of a call on an emergency line, to report a critical situation. 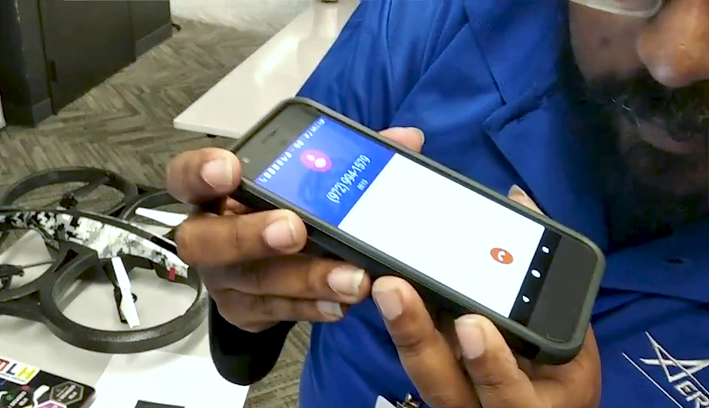 While the call is in the process, the speech recognition engine tries to pick up keywords which denote an emergency or distress situation and generates an alert in the control room. The secondary response which consists of the rescue drone(s), equipped with the payload is deployed to travel to the received coordinates (waypoint). The drone autonomously travels to the demarcated waypoint and it drops the payload with sky crane mechanism to the target, successfully completing its mission in response to the initial distress call. The rescue drones have cameras which verify if the payload package is received by the target or not. At every point of operation, the control room receives live feedback from each individual drone. The team had to design a system to effectively detect the hazards, localize the target areas and deploy rescue drones, which will follow accurate waypoints for a successful mission. Everything had to be integrated into the system within the 24 hours of the hackathon. The team used FlytSim (Virtual drone simulator) and the drone fleet management capabilities of the FlytBase platform, which made it possible for them to simulate an automated fleet of drones, for the emergency response system in a very short duration of time. FlytBase provided the participants access to the platform — FlytAPIs, FlytSDK, FlytSim simulator and other developer tools, which made it easier for the team to manage and control the fleet of drones for the rescue operations. They made use of FlytSim which provided a simulated environment to test these applications without risking any damage to the actual drones in the testing phase. FlytBase mentors were present throughout the event to help and guide the teams. They conducted a workshop on building scalable drone software using the FlytBase platform which covered: controlling a fleet of distributed intelligent drones for delivery, surveys, emergency response with simple python scripts. This is what the team members had to say, about how they used the FlytBase platform to build their system, and what features of the platform proved to be the most useful. “With the FlytBase platform, everything was accessible to us. I just have to call the APIs and have drones flying everywhere. In just a few hours we came up with the implementation”, said Mano Rahul K Pakalapati (member of Team VASHR). 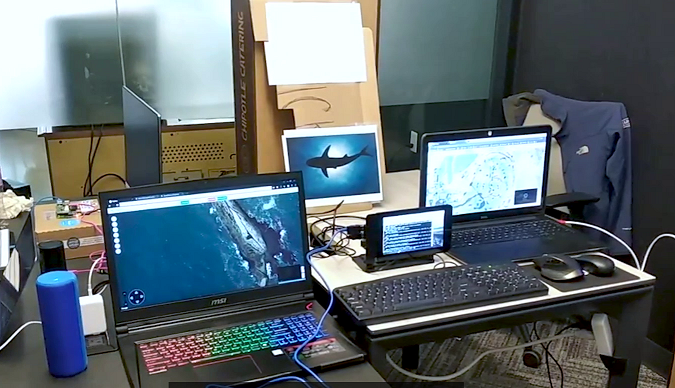 “The visualization was one of the best parts, to be able to see each and every drone of the fleet on a single web-based dashboard and controlling them remotely was very convenient and efficient”, said Chris Woodle (member of Team VASHR). Team VASHR bagged the FlytBase Challenge award for building and exhibiting the best automated and scalable solution using the FlytBase platform. Wish to conduct a drone hackathon and need FlytBase as partner/sponsor? Visit flytbase.com/flytcode and write to us. Build automated and scalable drone applications with FlytBase, better and faster. Sign Up to download FlytBase eBrochure. Write to us at info@flytbase.com or schedule a demo with our expert to learn more.